In this article you will learn how to capture network packet using Wireshark when attacker is scanning target using NMAP port scanning method. Here you will notice that how Wireshark captured different network traffic packet for open and close ports. 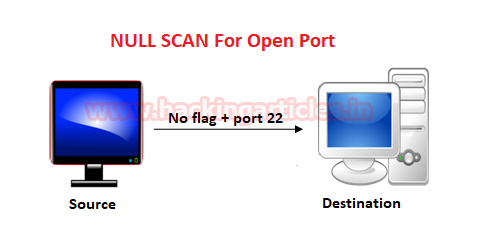 Tcp scan will scan for TCP port like port 22, 21, 23, 445 etc and ensure for listening port (open) through 3-way handshake connection between source and destination port. If port is open then source made request with SYN packet, as response destination sent SYN, ACK packet and then source sent ACK packets, at last source again sent RST, ACK packets. Type following NMAP command for TCP scan as well as start wireshark on other hand to capture the sent Packet. From given image you can observe the result that port 445 is open. Look over the sequence of packet transfer between source and destination captured through wireshark. Source again sent RST, ACK to destination. Let’s figure out network traffic for close port. 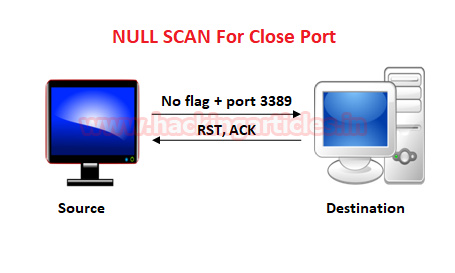 According to given image it is showing if scanning port is closed then 3-way handshake connection would be not possible between source and destination. Source sent SYN pack and if port is close the receiver will sent response through RST, ACK. From given image you can observe the result that port 3389 is closed. SYN scan is the default and most popular scan option for good reasons. It can be performed quickly, scanning thousands of ports per second on a fast network not hampered by restrictive firewalls. It is also relatively typical and stealthy since it never completes TCP connections. The port is also considered open if a SYN packet (without the ACK flag) is received in response. From given image you can observe the result that port 22 is open. Now figure out traffic for close port using stealth scan. When source sent SYN packet on specific port then if port is closed then destination will reply by sending RST packet. A FIN packet is used to terminate the TCP connection between source and destination port typically after the data transfer is complete. In the place of a SYN packet, Nmap start a FIN scan by using a FIN packet. If port is open then no response will come from destination port when FIN packet is sent through source port. nmap -sF -p 22 192.168.1.102From given image you can observe the result that port 22 is open. 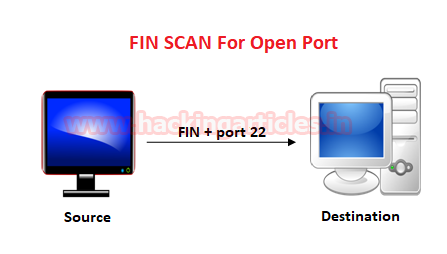 Similarly if Fin scan is performed against any close then source port will sent FIN packet to specific port and destination will reply by sending RST, ACK packets. From given image you can observe the result that port 3389 is close. A Null Scan is a series of TCP packets which hold a sequence number of “zeros” (0000000) and since there are none flags set, the destination will not know how to reply the request. It will discard the packet and no reply will be sent, which indicate that port is open. If the port is closed, the Destination will send an RST, ACK packet in response when source send null packets on specific port. 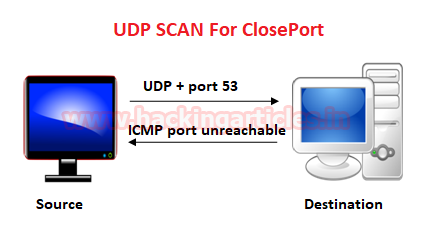 UDP scan works by sending a UDP packet to every destination port; it is a connection less protocol. For some common ports such as 53 and 161, a protocol-specific payload is sent to increase response rate, a service will respond with a UDP packet, proving that it is open. If no response is received after retransmissions, the port is classified as open|filtered. This means that the port could be open, or perhaps packet filters are blocking the communication. From given image you can observe the result that port 161 is open. From given image you can observe the result that port 53 is close. These scans are designed to manipulate the PSH, URG and FIN flags of the TCP header, Sets the FIN, PSH, and URG flags, lighting the packet up like a Christmas tree. When source sent FIN, PUSH, and URG packet to specific port and if port is open then destination will discard the packets and will not sent any reply to source. Similarly if source sent FIN, PUSH and URG packets to specific port and if port is closed then destination will sent RST, ACK packets to source.